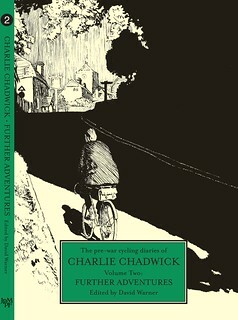 This second Charlie Chadwick volume takes us much further into his adult life and indeed starts with his best story ‘Two – A Tandem and a Tyre’. This relates how in 1929 Charlie persuaded his friend Joe (who owned a tandem) to leave his girlfriend behind and become Charlie’s ‘stoker’ for ten days in the southwest of England. It speaks volumes for Charlie’s power of persuasion! Their subsequent adventures read like that old classic comedy book ‘Three Men in a Boat’. Annalong – What’s in a Name?